AbeDraws: DAY 17: The Bombs and the Bees! 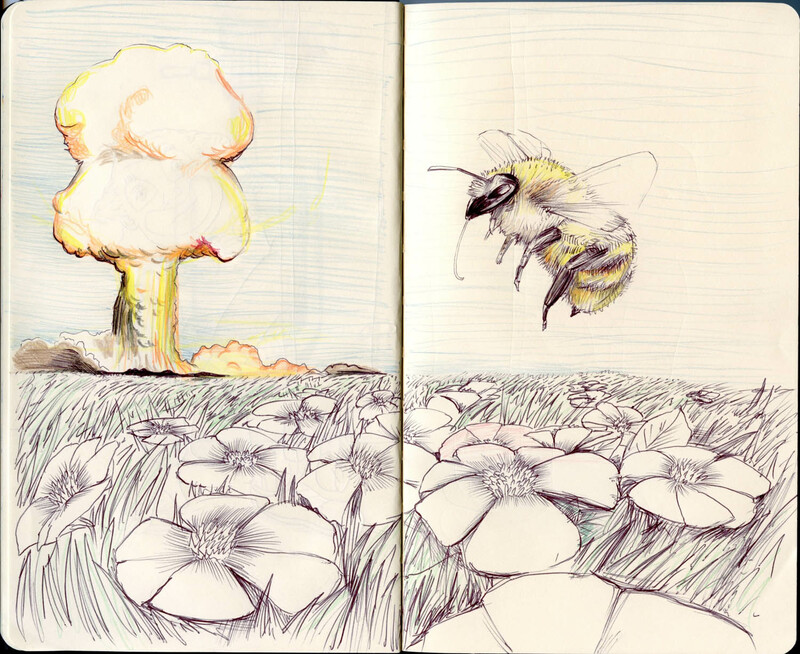 DAY 17: The Bombs and the Bees! Ballpoint pen and Prismacolor colored pencils. An explosive entry today. It's fun to try to draw something that I've never really tried to draw. For example, I don't think I've ever sat down to draw a bumblebee, so here it is. It is pretty much a flying ant, which is a wasp, with a fur coat on. I think I've tried to draw mushroom clouds before, but I still used a references for both of these, found on Google Images.